We are very excited to have just completed the fit out of Bear Market’s latest cafe, at the junction of Dame Lane and South Great George’s Street. 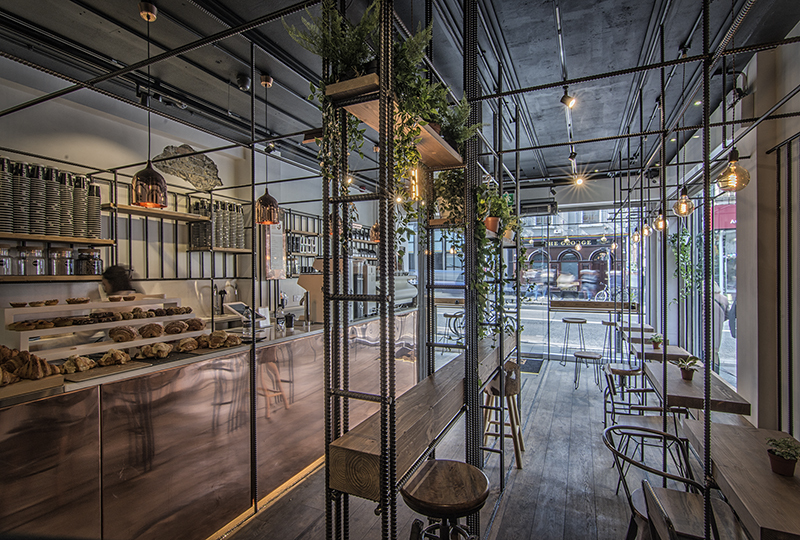 The design, by Darragh Breathnach of DUA , incorporates the innovative use of reinforcing steel bars to spatially define the cafe, as well as forming the underlying structure for the fixed seating, tables and product storage areas throughout. We wish all the team at Bear Market continued success with their latest venture.